We were quite fortunate to find and work with Chen at New Horizon. We began a project to entirely replace our 2nd floor guest bathroom. Chen provided labour and basic materials and we paid for tiles and fixtures. We laid down a tiled floor and tiled walls and replaced a bathtub with a walk-in shower. 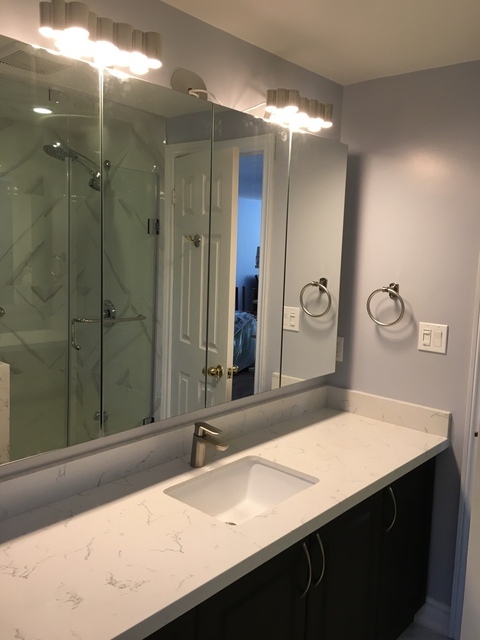 We also installed a new vanity, toilet, exhaust fan, and 5 Led light fixtures with dimmers and a timer. Chen provided a contact for a wall to wall mirror and for the shower glass wall and door. What impressed us most is that he worked exclusively on our project and completed it in 9 days. He is a great craftsman and pays attention to very small details and produces an outstanding finished product and kept our place clean and without damage. We were so happy with his work that we asked him to do our master bedroom ensuite bathroom as well. He then did some other renos, flooring and electrical work in the house and is now painting our ground floor. They are skilled in drywall, painting, plumbing, tiling, flooring, electrical, and I could go on. Great work at a fair price and a project that's delivered on time. Thanks Eli. And give ten star . 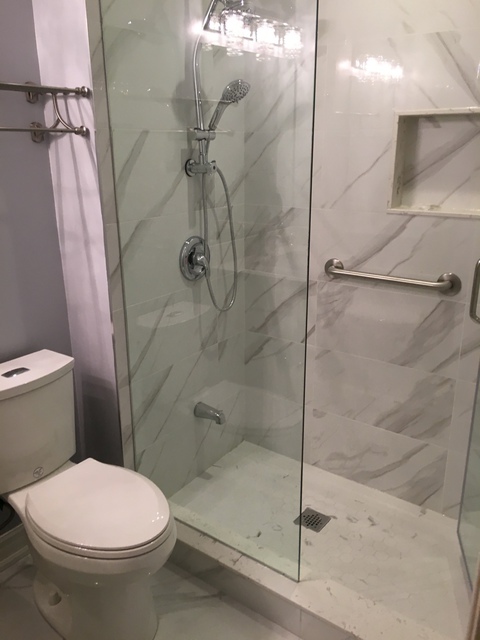 I recently had my main bathroom renovated with New Horizon Renovation INC. The owner Yong is a really nice guy and easy to communicate with. His work quality is excellent and I am extremly happy about his work and professionism. Thanks for some of his advices, my bathroom looks stunning now. Most importantly, the price was reasonable and the project was completed on time. Hi Cathy, thank you for your nice feedback and looking forward to work for you next time. We had the pleasure of hiring NEW HORIZON to complete our whole home renovation. Yong and his crew gutted our 1920s home to the studs and rebuilt it to modern standards with luxury touches. They worked efficiently and kept a clean, organized work space. They showed respect for both our home and our family. As with any old home, problems were revealed during demo and Yong was able to provide solutions that kept the project on track, on time and didn’t blow the budget. Thank you so very much for all your hard work! We are loving our brand new home and will enjoy it for years to come!! Welcome to New Horizon Renovation Inc. We offer general construction services, house renovations, and kitchen and bathroom renovations. We will work with you to create the perfect design based on your ideas to ensure a completed project you will enjoy for years to come.